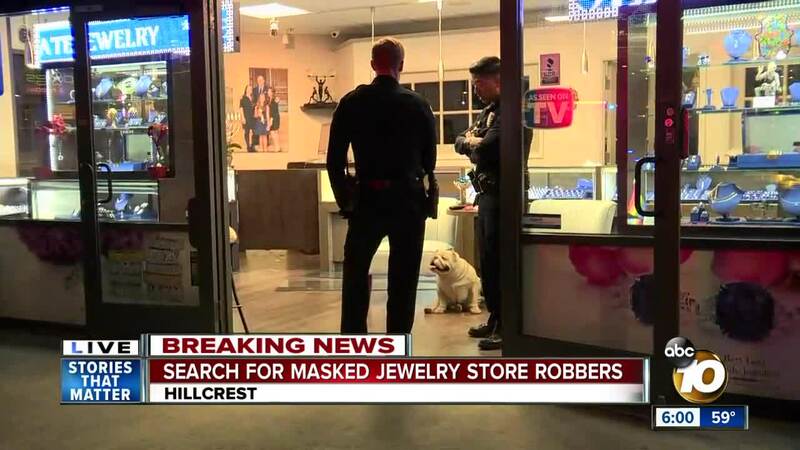 SAN DIEGO (KGTV) -- Police are investigating after a jewelry store in Hillcrest was robbed Monday evening. The incident happened around 5 p.m. at the Bert Levi Family Jewelers on the 1000 block of University Avenue. 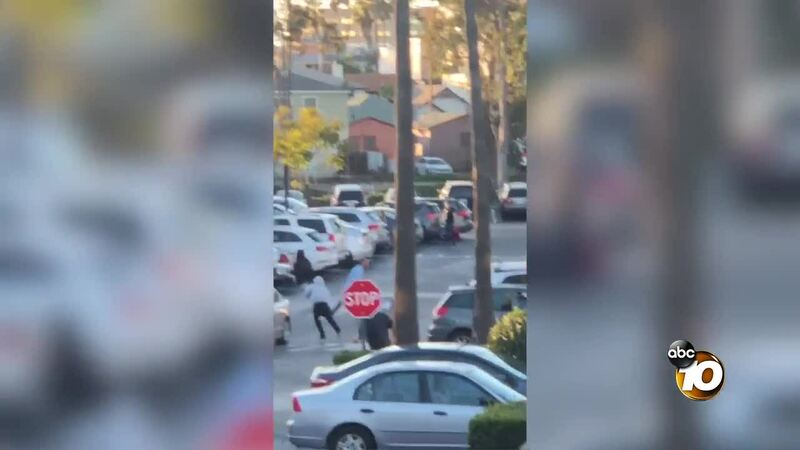 Witnesses who spoke with a clerk at the store told 10News the clerk said three masked men entered the store and pointed a gun at her, telling her to get on the floor. Video later showed the suspects running away from the store. A witness also say one of the suspects dropped a diamond ring while running away. A good Samaritan picked up the ring, a witness said. 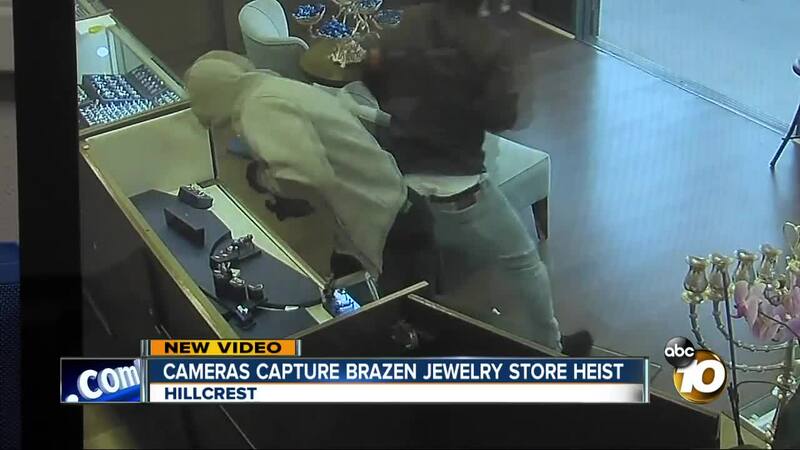 At this time it’s unclear whether or not the robbery is tied to a string of jewelry throughout the county. In January, a San Carlos jewelry was robbed following two other robberies in less than a month at different stores.